Home › Analysis › Alexandre Lacazette : Unleash the LYON ! 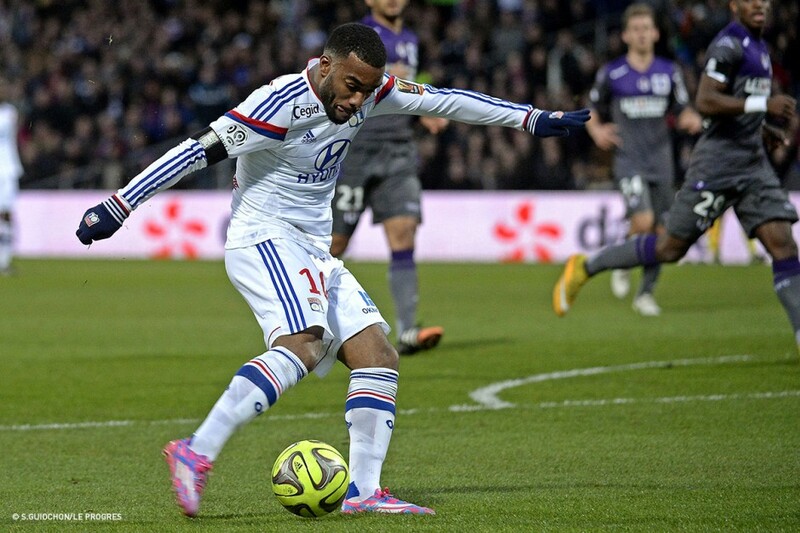 Alexandre Lacazette : Unleash the LYON ! 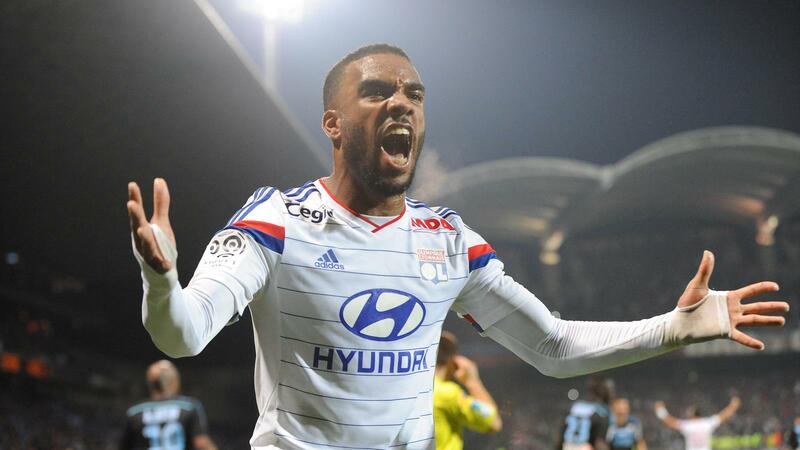 Lyon’s cubs are on the prowl; since the start of the season, the youngsters left behind them their Youth Academy days, to reach the top of Ligue 1 Table and Alexandre Lacazette is leading the pack. Eight of them, are regular starters, but the team’s shining star, is “Alex,” Ligue’s 1 top scorer(20 goals, 5 assists), third in Europe, behind Ronaldo and Messi and member of the “four consecutive braces” exclusive club; only Christiano Ronaldo, Lionel Messi and Luis Suarez, can boast the same achievement. This year’s explosion “was not a surprise; pundits expected that, since Le Gone,(Lyon’s native) was a young graduate and oh, so useful and decisive, when he was called to play ! The young Frenchman’s international career, started with France’s Under -16 with four appearances and continued with the Under -17 as a regular this time. He scored the winning qualification goal vs Republic of Ireland and helped France to reach the Final, where the team was defeated by Spain 4-0. With the Under-18 team he featured in ten of the eleven games; a year later he joined the Under-19 squad and helped his team, to win the 2010 UEFA European Under-19 Football Championship. 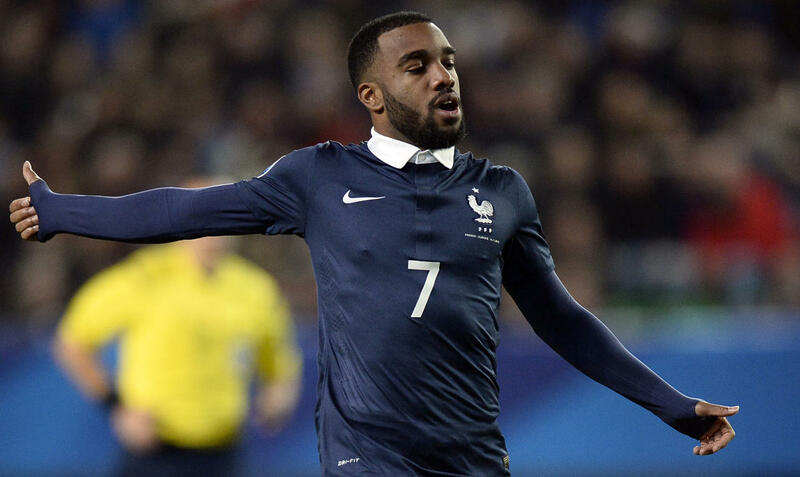 Lacazette, netted the game-winning goal, versus Spain, thus qualifying his country for the 2011 FIFA U-20 World Cup. On May 2013, he received his first call-up to the senior squad and made his international debut in a friendly match against Uruguay. With Euro 2016 taking place in France, the 23-year-old has a golden opportunity to shine on the soil of his own country. Since his arrival at the Centre of Tola Vologe’s Youth Academy, the player’s talent was very closely watched by scouts for his appearances were decisive for the game’s result. Lyon didn’t waste time and gave him a three-year contract, on June 2010. The Gone, scored his first professional goal versus Sochaux and it was a winning-game one, the first of many others. In September 2014, the player signed an extension to his contract, till 2018. Twenty goals in twenty-one matches; Lacazette is the first french player to reach the same number of goals as former PSG’s striker, Carlos Bianci, back in 1977-78. However if he continues at this pace, he could easily take Zlatan’s Ibrahimovic place (Zlatan, was L1 top scorer in 2013-14 scoring 26 times) and become one of Europe’s best, as Diego Costa or Sergio Aguero. The “Goneador” is now an achieved player; he can score with his head or feet, on counter attack, set pieces and penalties(4 this season).Also the young striker shot on target 36/64 times and he’s responsible for 44% goals of his team ! Another good point is that he’s not injury prone and therefore able to stay with his teammates, from start to finish. Lyon, as many french clubs need desperately fresh cash to face the (in)famous, 75% tax. Under these circumstances, it will be difficult for Les Gones to keep their prized player.